The Scrapbook Stamp Society and our design team have a lot of great projects in store for you in our "Colors of Spring Blog hop". There are so many great ideas and inspirations for what you can do with our Scrapbook Stamp Society digi stamps, we are so proud to show you the beautiful colors of Spring! Your invited to come hop along with each of us!!! There are PRIZES!!! We have a Grand Prize Winner & DT Blogs Comment Winners from each blog! There are two ways to be a Winner! 2.) 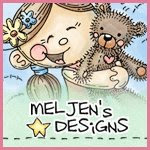 Each design team member will do a random draw for one lucky person from their own blog on Wed. March 7th, They will pick the winner from the comments on their blog ... 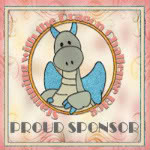 The WINNER will a receive a FREE DIGI STAMP!!!! How EXCITING is that!!! 3. Comment on ALL the blogs including our main one! Be sure to leave a way to contact you, in your comments. Here is my project for the hop, i colored this beautiful stamp with my bic mark it markers, i really love this markers, the paper i used is from Paper Studio and the flowers, pearls and ribbon are from Michaels, you can find this beautiful stamps HERE, the name of this digital stamps is Lil Sweetie First Day Of Spring by Sherri Baldy, hope you guys like it!! So now it's time to have some fun and enjoy Hopping through the wonderful Colors of Spring. 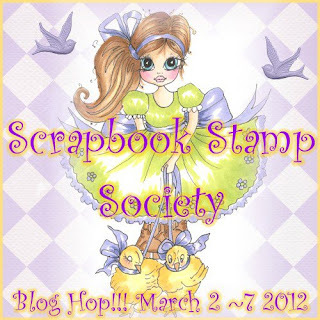 Thanks for hopping along with us at Scrapbook Stamp Society! You should have hopped here from Nancy blog! 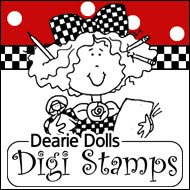 If not please start at the beginning which begins with Addicted-to-Stamps blog so you don't miss out on anything! Your next stop is Hanny blog! 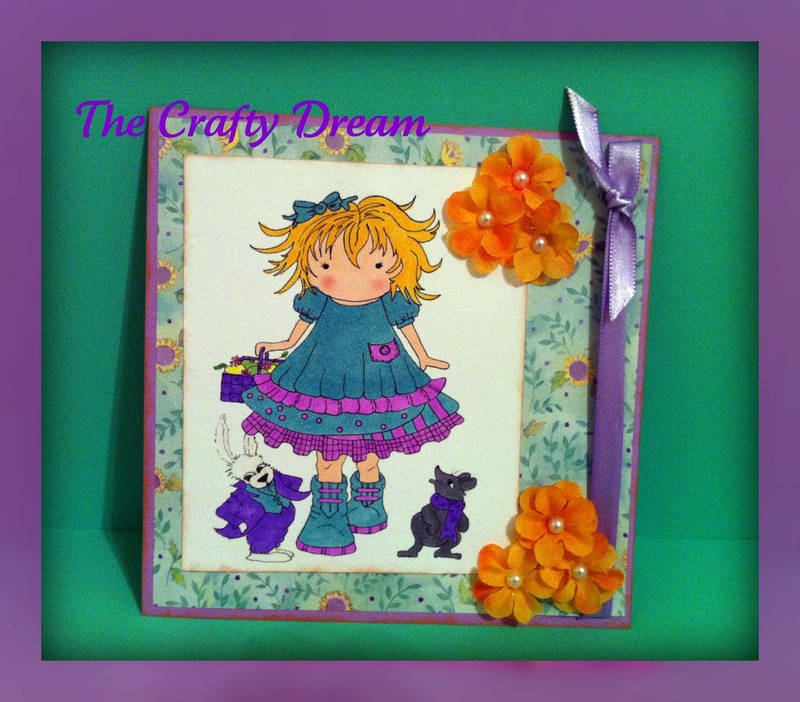 Gaby this is lovely, I love the gorgeous vibrant colours you have used. The flowers are fabulous. Hola Gaby que linda tu tarjeta y los colores súper vivos!!! como debe ser!! hermosa!!! What a beautiful card Gaby!! I also become a follower. This is one of my favorite images. Love the colors. I like how you added flowers to the corner. Lots of fun bright colors. Great job Gaby!!! Me encanta como te quedo, que colorido tan lindo!!! !Gaby te salio muy profesional!!! Great job! I can't believe how much work you put into all your projects. your coloring is terrific and you do such a great job cutting out your images. I have a little award over at my blog for you. 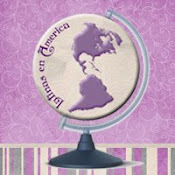 I hope you will stop by and check it out! 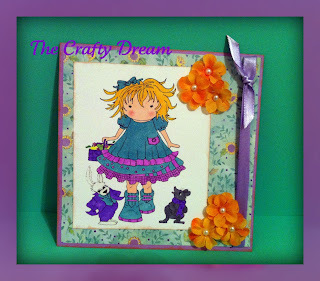 Love the colors you used with this adorable image!! Thank you for sharing.